A new four-part television series is just about to commence on RTÉ 1 that will look at the lot of cyclists in Ireland. The presenters have also gone to Copenhagen and Amsterdam to see how conditions for cyclists there compare to the Irish experience. 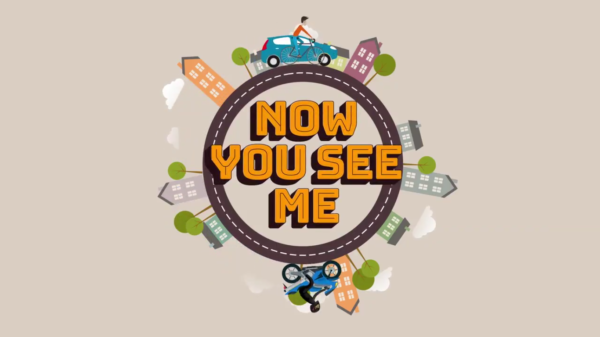 RTÉ 1 is about to air a new TV series, ‘Now You See Me’, about cycling on Irish roads and how it compares to other cities. Adverts have begun to run on TV for the new four-part series, which have included on-bike footage of drivers cutting off cyclists. Now You See Me is hosted by actor Simon Delaney and broadcaster and presenter Bláthnaid Treacy. And it gets underway next Monday at 7.30pm. It not only takes a look at cycling on Irish roads but also puts other road users onto a bike for the first time so they gain more perspective. The hosts also examine the clash that often occurs between Irish cyclists and motorists. And, very interestingly, they have also gone abroad to look at cycling culture in other cities. It means facilities for cyclists in Ireland, and conditions they endure here on the roads, will be compared with cycling in cities like Copenhagen and Amsterdam. RTE have only released limited information so far about Now You See Me, though we’ll get more for you as soon as we can. It sounds like an interesting project, with director Dave Tallon of Oddboy Media behind the camera. He was one of the key people behind RTE’s recent ‘How’s My Driving’ series so hopefully he’s an expert on conditions on Irish roads at this stage. RTE says of the series: “Presenters Simon Delaney and Bláthnaid Treacy team up to host this new four-part series, which gets them both on the highway to health as they discover how cycling in Ireland compares to hopping on a bike in other locations around the world. “It is at times an uneasy relationship between cyclists and other Irish road users. However, the duo want to challenge that stereotype, discovering why it exists and how it translates elsewhere.